To run Cops and Plague Planet run the icons directly - they are not compatible beyond StrongARM, use the separate releases in preference to these versions. Use "Boot floppy" from the ADFFS Filer to run Kidnapping on disc 2. 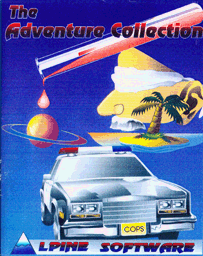 This collection of adventure games includes the full versions of Plague Planet and Cops together with a previously unreleased adventure called Kidnapping. In addition to the games, the two discs also include the instructions for each game and Hint Sheets for Plague Planet and Cops. 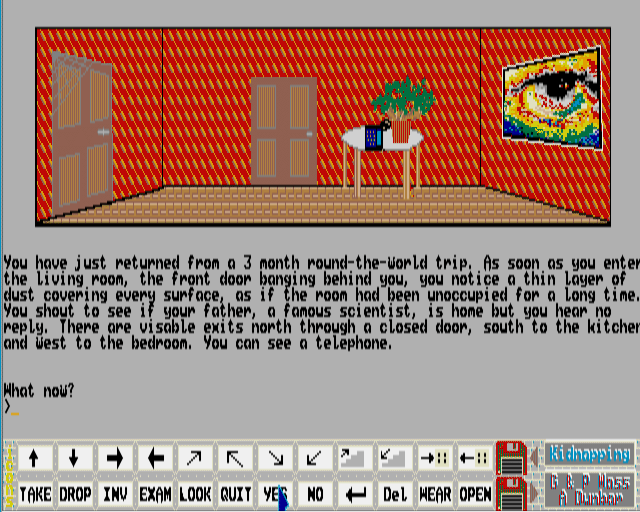 All the adventures feature a very easy to use system of entering common commands by simply clicking on 'buttons' at the base of the screen. Other words can be added to the command by clicking on the words in the text so that much of the games can be played without any typing, though of course you can type the commands if you wish! 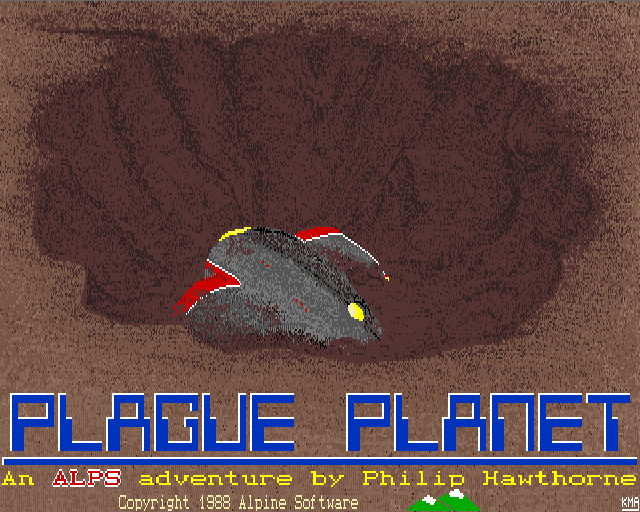 In Plague Planet you will need all your ingenuity and resourcefulness in a thrilling dash from planet to planet to save the far-flung remnants of the human race. This is a large text-only adventure with over 250 locations. In Cops you are a rookie on your first day with the Hall Street Precinct and before long you find yourself involved in a desperate race against time to solve a number of baffling crimes. 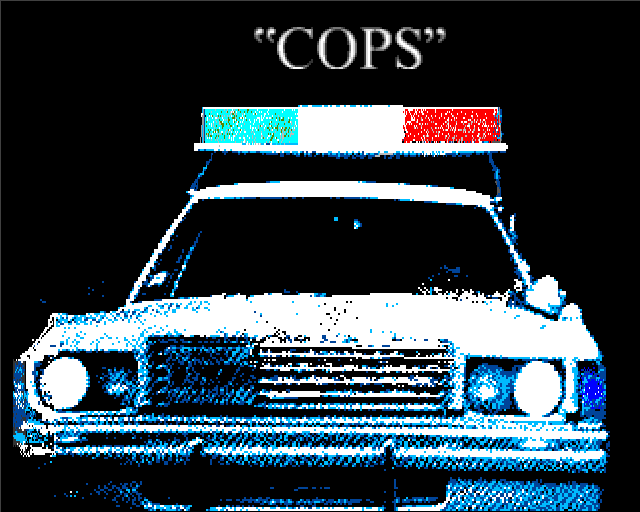 Cops is an illustrated text adventure. Kidnapping sees you trying to rescue your father, a famous scientist, who has been seized by a gang of ruthless terrorists. 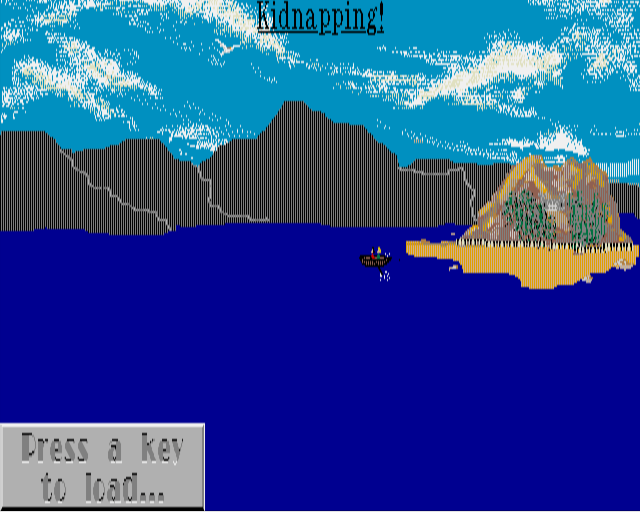 Kidnapping is an illustrated text adventure.